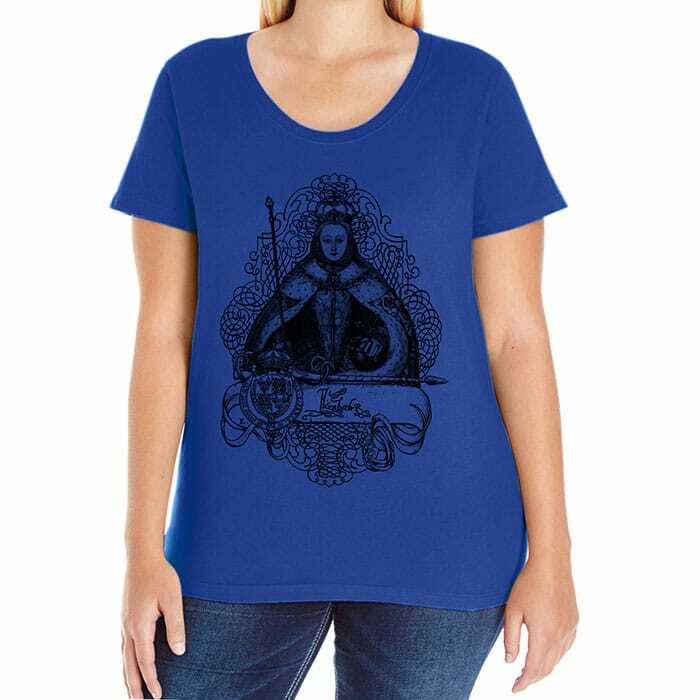 This premium plus size tailored curvy fit jersey T-shirt features a drawing and design by Tiffini Elektra X based on the coronation portrait by an unknown artist of Elizabeth I. 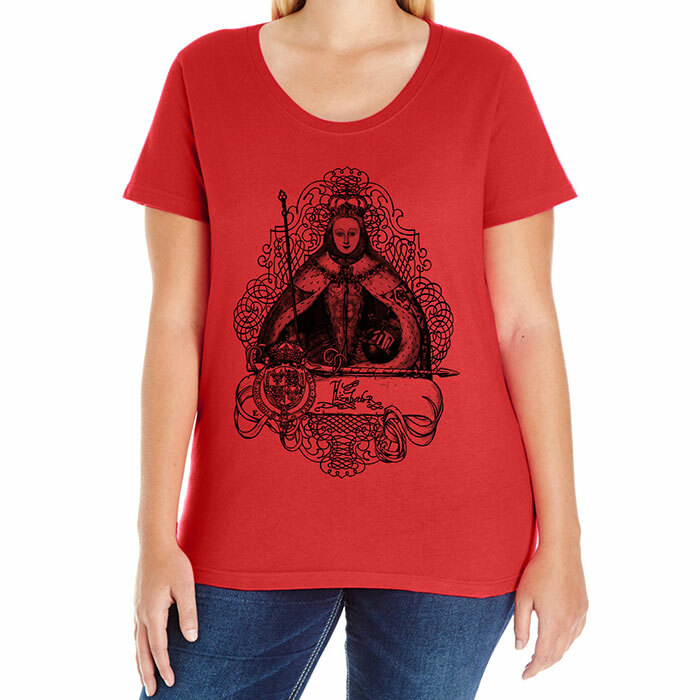 The design features a hand-drawn banner along with her signature and her coat of arms. 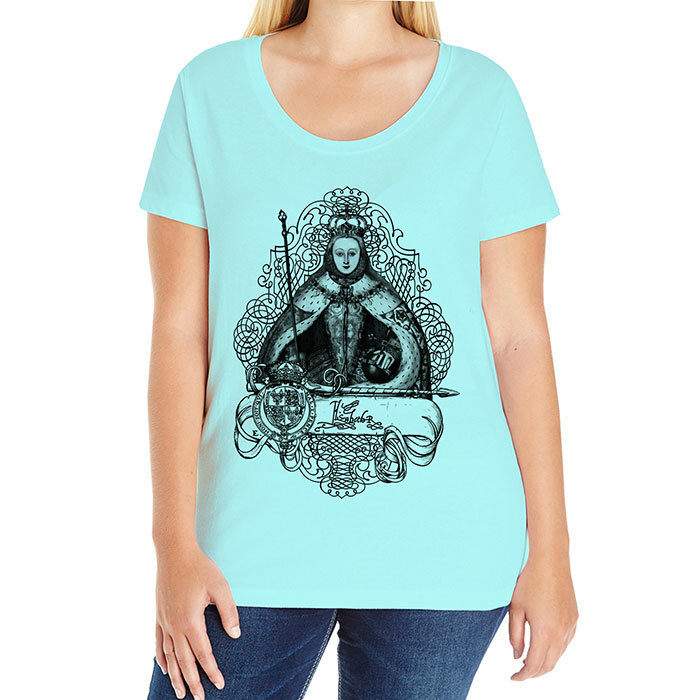 The design is printed on a premium comfort stretch jersey tee. 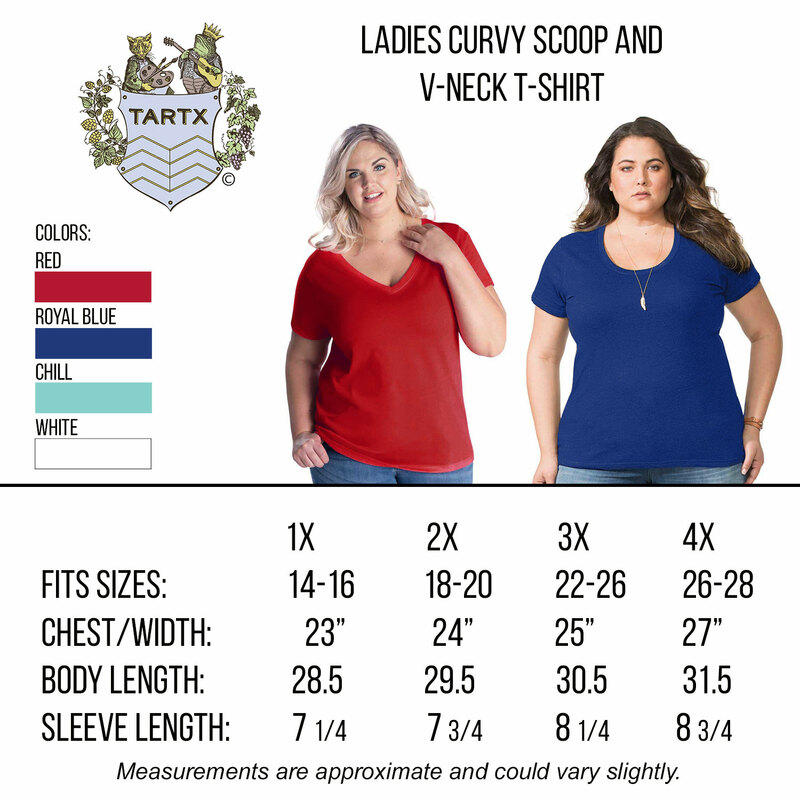 Flattering wide scoop neckline, topstitched and double-needle hem sleeves and bottom. Colours: Red, Chill, Royal Blue.